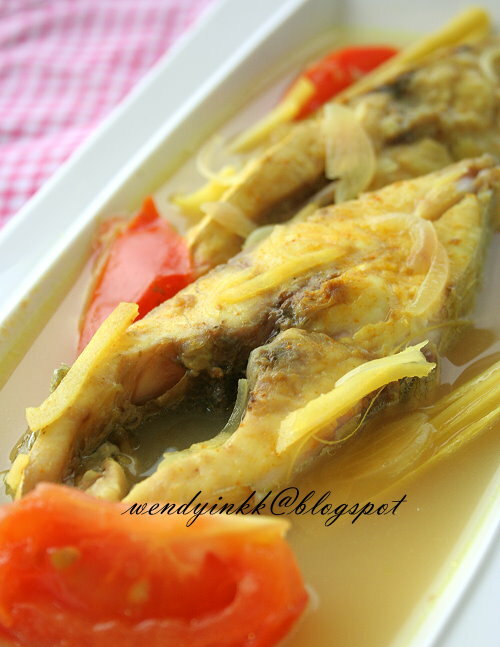 A healthy oil free dish that is boiled to cook. 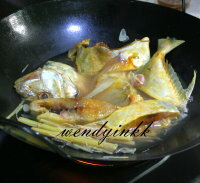 This dish, is almost similar to Singgang of the east coast states. 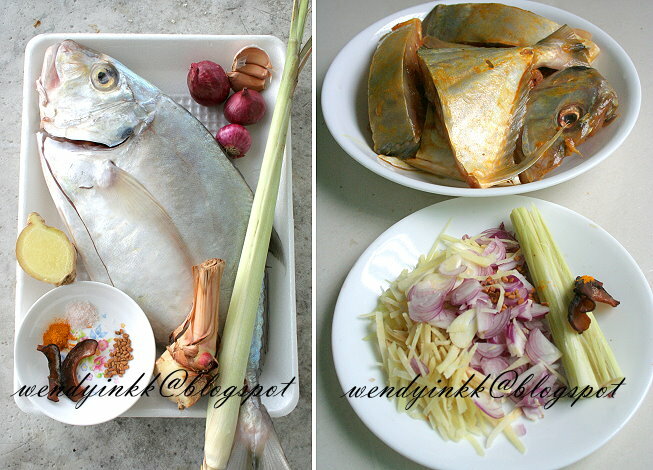 In the northern states, this method of cooking is referred as Pindang method.Negeri Sembilan also has Pindang ikan, but the ingredients are different, being more spicy and uses kaffir lime leaves. Kedah's version however is more towards being sourish rather than spicy. Chillies can be added, but only to a mild level, like a seasoning, rather than for some kick! My MIL took one piece of the fish home with her and all the broth, thinking she wants to boil some rice vermicelli and douse it with the broth for lunch the next day. But.... my FIL ate up everything, drunk all the broth, left nothing for my MIL. It's quite mild actually, not something very strong.. just imagine it's like teochew steamed fish, but made with the Kedah way. One thing only about this recipe, is that the julienned ginger and galangal is quite distracting. I think leaving it in bigger pieces and bashing it to release flavour will be a better choice. 1. Clean and cut fish into1 inch thick pieces. Marinate with salt and turmeric. 2. Slice shallots and garlic. 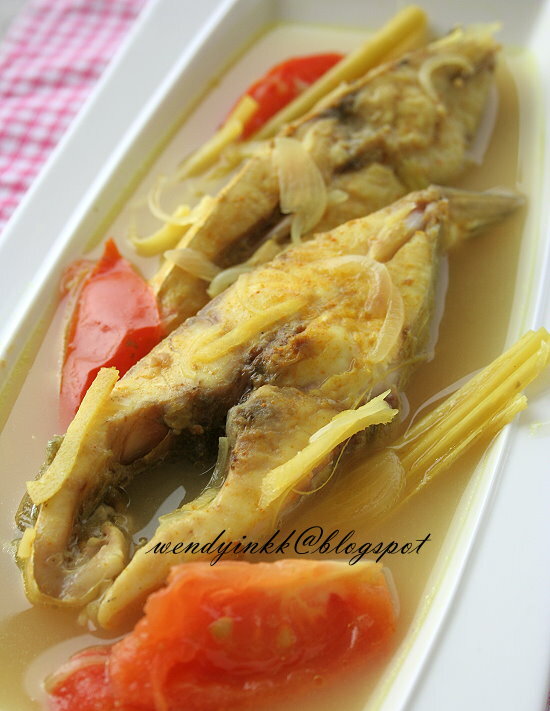 Julienne galangal and ginger. Bruise lemon grass. 3. Put everything except fish and tomato into wok, bring to a boil. Put in fish and tomato and simmer on medium heat until the fish is cooked. Add more salt if needed. 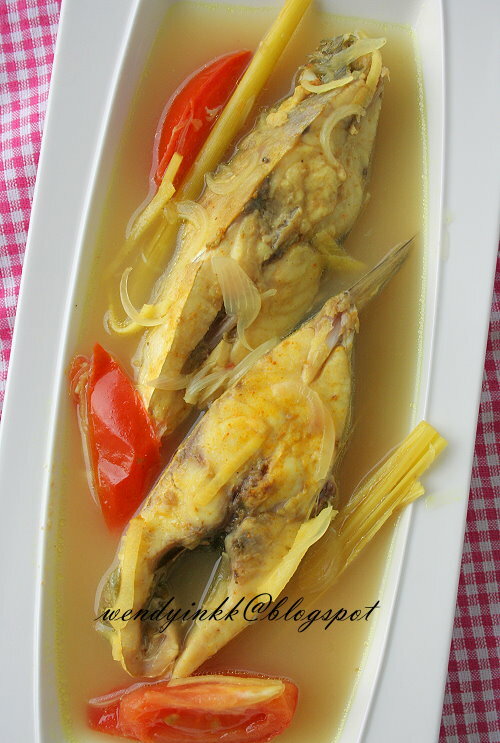 Easy dish, fish must be very fresh! Looks delicious! This looks simple and easy enough but i guess the taste is not simple. Must be really really delicious until your FIL drunk up all the broth. i understand what you mean by the distracting galangal and ginger..like picking up bones..hehe..